Prominent & Leading Manufacturer from Coimbatore, we offer wooden cooling tower, hvac plant cooling tower, frp round cooling tower, frp cooling tower, timber cooling tower and natural draft cooling tower. 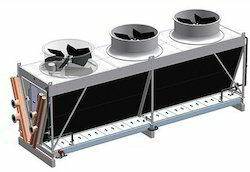 Baffles cooling Systems to dedicate and specialized design for TIMBER COOLING TOWER . 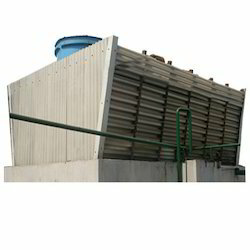 We have make new Timber cooling tower as per the customer requirement specification. Our design teams analyze and calculate the process design and parameters by using Thermal engineering and Psychrometric calculation for better performance . Pipe flow analyze and structural making by using software. We have introduce form one single cell to multi cell passing based on the water flow rate and temperature and Size of the area . We offered the cooling tower for HVAC plant . we have the sizes from 5 TR to 10000 TR for FRP Cooling Tower , Timber Cooling Tower , Fanless Cooling Tower,dry Cooling TOWER. We can cool temperature from high temperature to your required temperature ,our specialized cooling tower engineers will be research for your cooling solutions . We are offering FRP Round Cooling Tower to our client. We have small size to bigger size of the FRP Cooling tower. Product range from 10 TR ,15 TR , 20 TR, 25 TR ,30 TR , 50 TR ,80 TR , 100 TR, 150 TR, 200 TR, 250 TR, 300 TR, 350 TR, 400 TR, 500 TR ,800 TR, 1000 TR . We have experienced FRP molders .So FRP has been strong bonding of fibre matrix with Resin matrix. Its easily remove the heat from the process. Heat dissipation easily will be conducting. All the steel material to be GALVANIZED for anti corrosion purpose. We have experienced FRP COOLING TOWER ERECTION TEAM . So easily erection and commissioning for avoiding extra days for run the process. We monitoring periodically maintenance and asking performance to supplied FRP cooling tower . 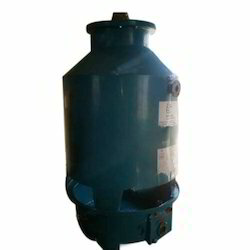 Cooling tower is a heat rejection device . In all the sectors has been used in this type of FRP cooling tower.Its main function is that removing heat from the hot water.In machinery process, hot water comes from the machine into cooling tower . It will be decrease the temperature at Atmospheric range and again the same water is to used for recycling purpose . 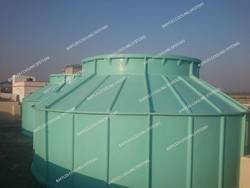 Nowadays customer is preferred in this type of FRP cooling tower.FRP means FIBRE REINFORCEMENT PLASTICS.FRP cooling tower has been recently developed material for extra strengthening purpose. Its main advantage is very strength.FRP coating cooling tower can be 2 to 10 times stronger than steel plates and while their weight is just 20% of that steel. 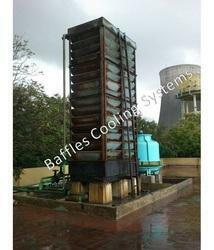 Baffles cooling Systems to dedicate and specialized design for FRP COOLING TOWER . 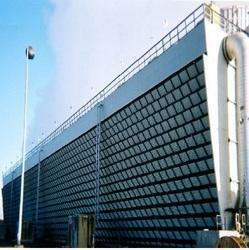 We have designed FRP cooling tower as per the customer requirement specification. Our design teams analyze and calculate the process design . We have 10 TR to 1000 TR and above 1000 TR we will connect serial connection. We are widely recognized as a reckoned organizations engaged in manufacturing and supplying finest quality Timber Cooling Tower. 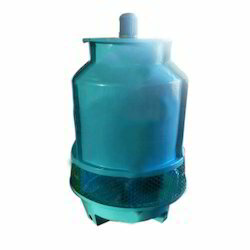 Fan less cooling tower is function that without driven motor and fan . Its naturally cooling process towers . Hot Water comes from the processing area input to pipe at the top area . Water will be spraying at high velocity stream in some circumferential area . So water goes to sprayed downwardly .Here cooling tower range and approach formulae was applicable. Sometimes water flow will be higher ,cooling range was extremely good and otherwise have cooling range is normal . 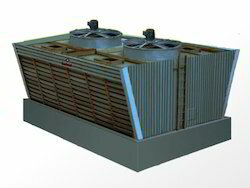 Baffles Cooling Systems , Fanless cooling tower made up of Maximum covered with FRP louver . FRP ( Fibre reinforcement Plastics ) has been very strength compare than steel plates. We have experienced design team analyze the tower size , Cooling tower approach , Cooling tower range , Cooling tower performance etc., Structural will be made of 100 % Galvanized . So all the seasons ,material will not affected. Main advantage of this cooling tower No fan . So don’t need driving motor .Its hot water cooling by atmospheric air . Nozzle provide at the top of the area on typically. Coil mounted on the ISO standard channels . Coils connected with parallel and serial. Fan and Motor mounted on the top of the frame. Fan has been dynamic balanced with motor rotation of RPM. After manufacturing coil , BCS would be conducted hydro pressure test for found any leakage on the coil tubes. Tube bending joints welded by brazed by qualified welders.In this bended area thinning calculated for min thickness at the particular area. · We have small size to bigger size of the FRP Cooling tower. Product range from 10 TR ,15 TR , 20 TR, 25 TR ,30 TR , 50 TR ,80 TR , 100 TR, 150 TR, 200 TR, 250 TR, 300 TR, 350 TR, 400 TR, 500 TR ,800 TR, 1000 TR . · We have experienced FRP molders .So FRP has been strong bonding of fibre matrix with Resin matrix. · Its easily remove the heat from the process. Heat dissipation easily will be conducting. · All the steel material to be GALVANIZED for anti corrosion purpose. 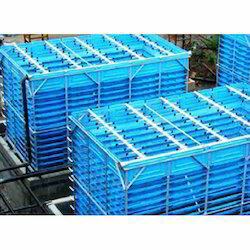 · We have experienced FRP COOLING TOWER ERECTION TEAM . So easily erection and commissioning for avoiding extra days for run the process. · We monitoring periodically maintenance and asking performance to supplied FRP cooling tower . · BCS is made of the tower , 95% of the timber material is PINE WOOD . PINEWOOD have more temperature will be withstand like range between 55 - 90°C. · We , treated all the PINE WOOD material is must conduct chemical treatment process. It will be dipping process within one hour on stainless steel sump for removing unwanted species ,fungi and bacteria’s. After Chemical Treatment process completion , will move to remove moisture content on the timber wood . · We have experienced TIMBER COOLING TOWER ERECTION TEAM . So easily erection and commissioning for completion of estimated time . · We supplied the timber cooling towers to customer every month we will communicate for periodically maintenance and asking performance .